Successfully Treating Neck, Back and Facial pain, Orthopedic injuries, Headaches and Vertigo since 1986. Call today to schedule your Comprehensive Personal Evaluation and Hands-on Individual Treatment Program. 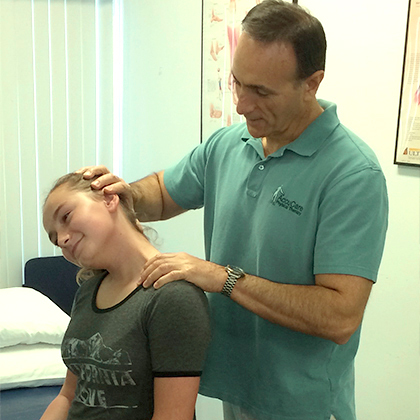 Kurt Klein is a Registered Physical Therapist practicing since 1983.He is the leading expert in Orthopedic, TMJ and vestibular disorders. Kurt teaches seminars and courses for medical professionals. Kurt is Manual Therapy Certified through the Institute of Graduate Physical Therapy and is a member of the American Physical Therapy Association. Jessica began working at AccuCare September of 2014. A recent graduatefrom Barry University in Miami Shores, FL with a BS in Exercise Physiology. She has experience as an intern at the Cardiac Rehab and Wellness Center at Broward Health Medical Center in Ft. Lauderdale, FL. Jessica aspires to return to Graduate school to earn a Doctorate of Physical Therapy degree. We believe that a team approach, working with your physician, is one of the keys to successful rehabilitation. We interact with many local dentists, maxillofacial surgeons, orthodontists, neurologists, orthopedists, psychologists, and psychiatrists to assure that you receive the very best care available. Provides treatment for a broad range of injuries and problems involving joints, muscles and bones to help reduce pain and swelling, improve mobility, strength and gait. We provide individualized therapeutic exercises and manual therapy to address your specific type of vertigo and/or dizziness. Such as 'clicking', 'locking', loss of ROM and pain are treated with Manipulation, Neuromuscular Rehabiltation, Patient Education and Modalities. Works to improve conditions in your back and neck and reduce pain, increase mobility and teach you to move correctly and improve posture to avoid reoccurrence. Provides treatment for sports-related injuries to return you to athletics quickly and prevent re-injuries through education and training. At AccuCare, our primary goal is to return you to your maximum potential quickly and safely. 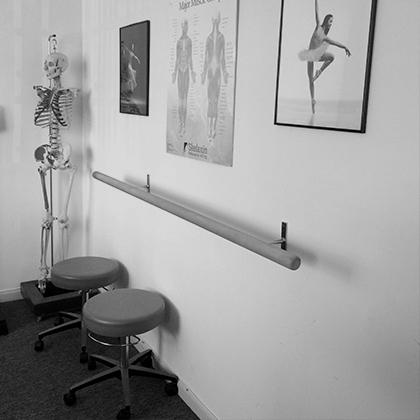 We perform a holistic evaluation that views the biomechanical aspects of the entire body as a functional unit. 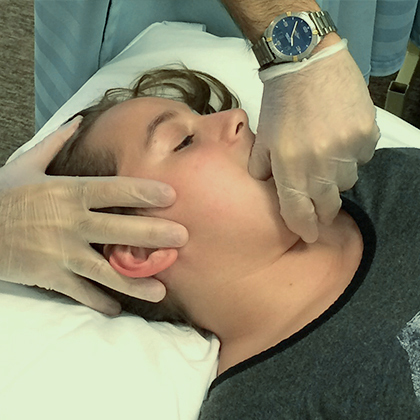 We then develop and employ a hands-on treatment program tailored to your specific needs. AccuCare believes that a team approach is one of the keys to successful rehabilitation. We enjoy excellent working relationships with many local dentists, maxillofacial surgeons, neurologists, orthopedists, psychologists, psychiatrists, and general practitioners. Excellent or Good responses from 100% of the responding physicians for evaluation and treatment. 100% of our patients rated their AccuCare experience as Exceeded Expectations or Exceptional. We would like to provide you and your patients with the same high level of quality care. Please give us a call at (954) 472-7526 to receive your free AccuCare Referral Kit and give us a try. Our therapists perform a holistic evaluation that views the biomechanical aspects of the entire body as a functional unit. This comprehensive evaluation provides an overall assessment of the patient and his or her capabilities. We employ a hands-on treatment approach through soft tissue and joint manipulation, therapeutic exercise, posture re-education and modification of ADLs. A team approach with the physician is critical for successful rehabilitation. Your patients will quickly return to maximum potential following injury or surgery. 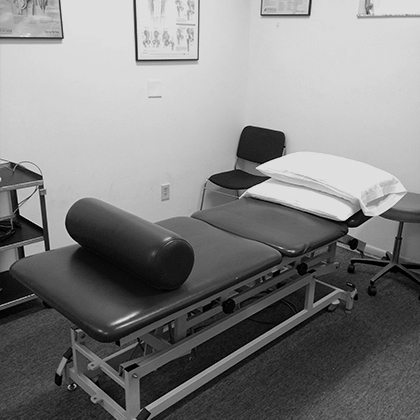 Our therapists perform a comprehensive biomechanical and musculoskeletal evaluation. 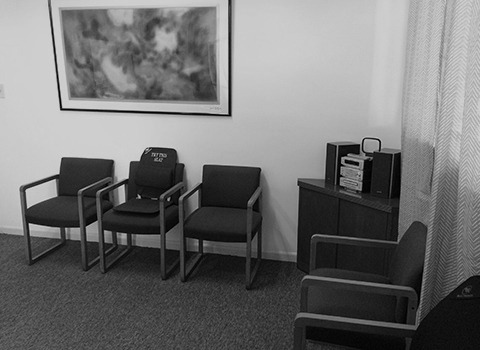 You receive initial evaluation reports, treatment plans, and patient progress reports throughout the treatment program. We deliver personalized, individual hands-on treatment using soft tissue and joint manipulation, therapeutic exercise, posture re-education, and modification of ADL's. AccuCare is independently owned and operated. Your patients can utilize our on-premise, fully equipped exercise facility. AccuCare fully participates in Medicare and leading HMO's and PPO's. There are many opportunities where an informal referral agreement, or patient networking, would be of great mutual benefit. Physicians often rely on me to make recommendations for therapy and I frequently refer patients to physicians. I would appreciate your referring appropriate patients to AccuCare for treatment. Please give us a try with your next patient. You can be among those physicians responding to our next quality survey with Excellent evaluation and treatment results and your patients can enjoy the Exceptional AccuCare experience. Please give me a call or send an e-mail if I can provide any additional information, answer any questions, or just to get acquainted. Thank you for your interest, and I look forward to working with you. For your convenience, payment may be made by cash, check, MasterCard or Visa. Payment for charges not covered by health insurance is required at the time services are rendered. In situations requiring special financial considerations, alternative payment plans can be arranged. Please feel free to discuss our fee schedule or any other financial matter with our office manager. As a service to you, our office will file your insurance claims when you provide all of the necessary information. We fully participate in the Medicare program and are members of leading Health Maintenance Organizations (HMOs) and Preferred Provider Organizations (PPO's). We will be more than happy to contact your insurance company to determine the amount you owe as a co-payment. Patients are responsible for payments of deductibles and any co-insurance amounts at the time of service. Copyright © 2016 AccuCare Physical Therapy.